Looking across at the North West, devolution is clearly beginning to make a difference. Since their elections in 2016, Steve Rotherham and Andy Burnham, as ex-parliamentarians growing into their new roles as the Mayors of Liverpool and Greater Manchester respectively, have begun to allow the two cities to have their voices heard on the national stage, as well as unlock access to millions of pounds worth of additional funding. Meanwhile, the region with arguably the strongest sense of identity in the country and certainly a strong spirit of independence has just suffered yet another setback in achieving devolution. Given James Brokenshire’s announcement that the ‘One Yorkshire’ proposal does not meet the criteria for devolution, it’s back to the drawing board for the region’s political leaders. Although not stated, it is well known in the region that one of the reasons for the knock back is the fear of at least one prominent Minister that a Yorkshire Mayor would always be a Labour Mayor. This is the same fear that caused many Conservative MPs in the area to lobby Ministers heavily against the previous Leeds City Region proposal which otherwise had a good head of steam and support from business as well as local authorities. Given Labour’s traditional success in the region, it’s understandable that some would come to that conclusion. Labour might hold 36 of Yorkshire’s 54 parliamentary seats, but that doesn’t necessarily mean that would translate to success at the mayoral level. For South Yorkshire, the evidence is pretty clear as they have already headed to the polls to vote for a mayor. In 2018 Dan Jarvis won 47.1% of first round votes, before romping home with just under three quarters of second round votes, almost 100,000 more than his Conservative opponent. 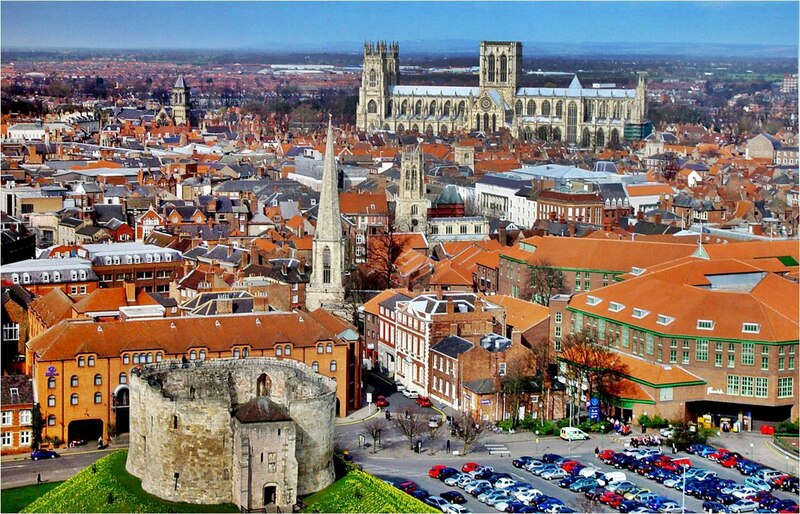 For North Yorkshire, given that the Conservatives control 8 out of the region’s 9 parliamentary seats (all with a majority of more than 3,000 and most with majorities of more than 10,000) we can be quite confident that a North Yorkshire mayor would be of their political persuasion as well. In West Yorkshire, the situation is slightly more balanced, but nonetheless bodes well for Labour as the Party holds power on all five West Yorkshire councils. However, in local and mayoral elections voters often behave differently than in general elections. Looking at the 2017 General Election in West Yorkshire, Labour won 54.4% of the vote, whilst the Conservatives won 38.6%. Compare this to the local elections in 2018, where Labour won 47.3% of the vote and the Conservatives won 29.4%. This shows that voters are more likely to opt for a third party or independents at the expense of the two main parties. Whilst Labour would be easy favourites to win a mayoral election, this more fluid voting would particularly be important should a strong, independent candidate come forward. One such person often mentioned is Sir Gary Verity. The other factor that would make a mayoral election less predictable is the composition of the new authority. Whilst the current West Yorkshire Combined Authority is just the five district councils, the Leeds City region also includes heavily Labour Barnsley and York and heavily Conservative Craven, Harrogate and Selby. With Barnsley part of the mayoral South Yorkshire City Region, this would mean a tighter margin between the main parties but still with Labour well in the lead. Analysis of the 2017 general election result shows that in a proposed City Region including the five West Yorkshire council areas, plus Craven, Harrogate, Selby and York, Labour won 50.7% of the vote, whilst the Conservatives won 41.3%, which would make Leeds City Region more competitive. East Yorkshire and North Lincolnshire is perhaps the most interesting sub-region with the smallest margin between the Conservatives and Labour who hold five parliamentary seats each. In 2017 Conservatives won 49.2% of the vote, whilst Labour won 42.6%. Other factors might come into play to make the result less predictable. Would ‘south bankers’ vote for a ‘north banker’ or vice-versa? Also, Great Grimsby is a traditional Labour bastion that is now one of the Conservatives’ key target seats thanks to its strong support for leaving the European Union. It is worth remembering the Tees Valley mayoral election from two years ago. Labour was expected to win in a traditional stronghold containing Middlesbrough, Hartlepool and Darlington, but Conservative Ben Houchen narrowly edged out Sue Jeffrey by 51.1% to 48.9% in the second round run-off and this was added to by Simon Clarke’s capture of the pro-Brexit seat of Middlesbrough South and East Cleveland in the General Election. 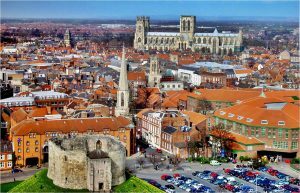 Similar factors could be at play in East Yorkshire depending on the outcome of Britain’s departure and the part that the main parties play in this. 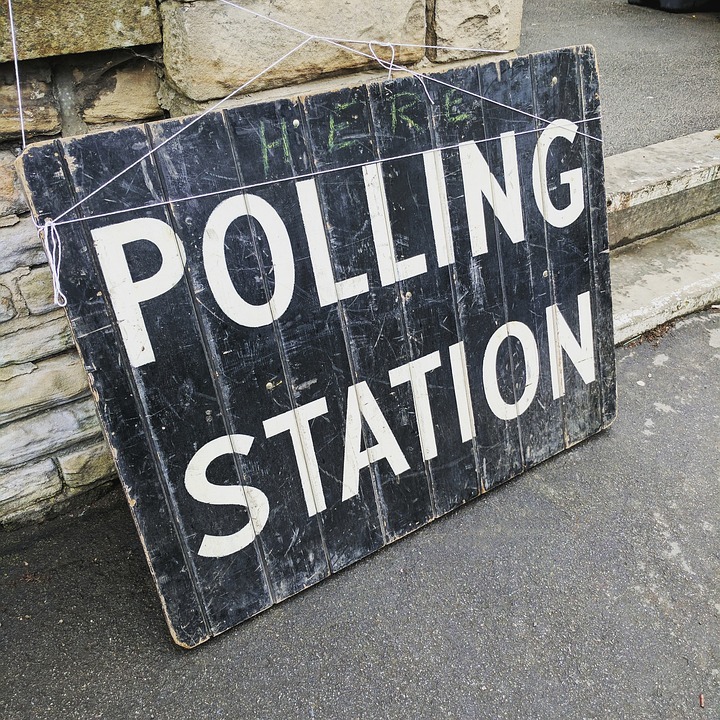 Whilst a useful background, general or even previous local election results should not be taken as a certain guide to the potential outcome of a mayoral contest. Voting system: Mayoral elections use the supplementary vote system in which the voter ranks two candidates in order of preference to ensure that the winner receives at least half the votes. Personality: As it is just one person being elected, there is a lot more scope for candidates to attract a personal vote. On the face of it, if the region is divided into four mayoral authorities there could be two Labour and two Conservative mayors achieving what some might see as a good balance. But after recent events, politics is becoming increasingly unpredictable. Who knows, a strong, new centrist party might sweep the board. PAC asks is it worth companies and organisations attending party conferences? A question we are often asked by clients is whether they should ‘do something’ at the party conferences. They perceive that these are the major political events of the year and they don’t want to miss out on a potential opportunity to promote their messages and network with policy makers and influ encers. Although there are exceptions, outlined below, more often the answer is no, they shouldn’t bother than yes, they should attend. ‘Doing something’ at conference can be hugely expensive, very time consuming and often not very effective. There are four levels of attendance. Go the full monty and have an exhibition stand. This is very expensive both in terms of cost and time. If you get your presentation right you might attract a lot of visitors, but are they the right people to have any influence and will they remember you after they have seen many other stands just like yours? Hold a reception or large lunch/dinner. Probably the biggest waste of time and money. 90% of people come for the free drink and food and most have little interest in listening to speeches and do not stay long before moving on to the next freebie. Attend conference to network and possibly hold bi-lateral meetings with selected politicians. If it is MPs you are after, you would be advised to seek these meetings when MPs are in Westminster. For a start, many MPs don’t bother going to the conference and those that do often only stay there for part of it. A report last year stated that 70% of Conservative MPs did not attend the conference. For those that do go, they have hectic schedules and can be easily distracted by other events or passing people they know if you are chatting over a drink or coffee. On the other hand, if you want to meet councillors from around the country, this is a good opportunity to catch many in the same place. The key factor to be bear in mind in considering whether to go is who are you trying to reach? If your lobbying objectives are very centrally focussed and rely mostly on gaining support from MPs, Ministers and officials then you are better off using your resources to secure meetings with them in Westminster than at conference. If your campaign involves local authorities, it may be worth attending conference and organising bi-lateral meetings or small round table events with food for selected councillors. If you are running a mass campaign seeking to gain widespread support amongst party members who might then lobby their MPs, then conference is the best place to come. It is important to remember that only a minority of those at conferences are party members. The majority of those attending are representatives from all sorts of pressure groups and NGOs, businesses, diplomats, media and, dare I say it, public affairs consultants. 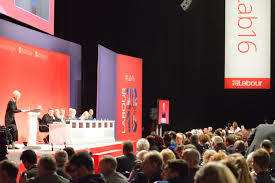 According to the Labour Party some 13,000 people attend their conference, but last year just 1,155 of these were delegates representing constituency Labour parties, although there would also have been a significant number from affiliated trade unions. Only about a third of those attending the Conservative conference are party members. So of all those people you might talk to if you have an exhibition or hold a reception, how many actually can be of any help to you? You might be better off missing out on the 3 or 4 very late, and very boozy nights, unless of course, that’s why you want to go to conference. As we move into the middle of August, parliamentary recess is well under way and it’s unsurprising that MPs have embarked on a well-earned break, resting before what promises to be a particularly arduous autumn parliamentary session and conference season. Whilst some MPs have opted to remain close to home others have decided instead to broaden their horizons and across the past three weeks there has been no shortage of Twitter updates and Instagram posts to keep us entertained. Steve Baker, the former junior Minister at the Department for Exiting the European Union having resigned over the Chequers’ agreement has got on his bike and is “motorbiking responsibly” in Scotland. Labour MP and Chair of the Business Select Committee, Rachel Reeves, has also decided to stay in the UK and is taking a month’s break from social media. Meanwhile, leading Brexiteer Jacob Rees-Mogg has stuck to his principles by getting out of Europe and seeing the sites that New York has to offer with his family. A head for heights? The view from the 86th floor of the Empire State Building in New York with Helena, Peter and Mary. After recently quitting Labour, the newly independent MP John Woodcock has been seeking thrills close to home on Piel Island, in his constituency of Barrow-in-Furness. It’s a shame we are still working this summer! An institution that is a democratic outrage, asleep on the job and is ripe for being scrapped. That has been the belief bubbling away among many of the most ardent Brexiteers as they came to blows with the House of Lords over a series of defeats they inflicted on the Government’s EU withdrawal legislation. In the year since the General Election the Government has been defeated 32 times in the Lords, with around half of these on the EU Withdrawal Bill. That is fewer than the 38 defeats inflicted in the Lords on the Conservative majority Government in 2016/17 and the 60 defeats David Cameron’s Government faced the year after the 2015 election. Going back before that, only 4 of the 13 years of the Labour Governments following the 1997 election saw fewer defeats in the Lords than there have been seen over the past year. The caveat is that there have been far fewer Bills brought before Parliament over the past year than in previous sessions. What then is the concern of those such as Jacob Rees-Mogg and The Spectator, bastions of the right in British politics and which have traditionally been all in favour of an unelected House? Their argument was that Peers were attempting to thwart the ‘will of the people’ expressed through the referendum which they had no right to do, especially as they are unelected body. This glossed over the fact that the changes made by the Peers can only be allowed if the elected House of Commons also votes for them. The argument is diminished further when some of those, including leading newspapers, who have been attacking Peers for supposedly undermining the will of the people, have also made scathing criticisms of democratically elected MPs for seeking to make changes to this and other legislation linked to Brexit. Others argue that the their Lordships should enjoy the perks of membership of the upper house as a way of bowing out of public life gracefully rather than seeking to rock the boat, an image reinforced by the Government Chief Whip in the Lords recently having to warn Peers about falling asleep in the chamber. The Lords is simply doing its job which is to act as a revising chamber. Unlike the Commons, in the Lords the Government does not control the timetable for debating bills. This means that every amendment to a Bill is debated, unlike the Commons in which many amendments that are tabled are never considered and debate on those that are is restricted through timetabling. Take the EU Withdrawal Bill as an example. 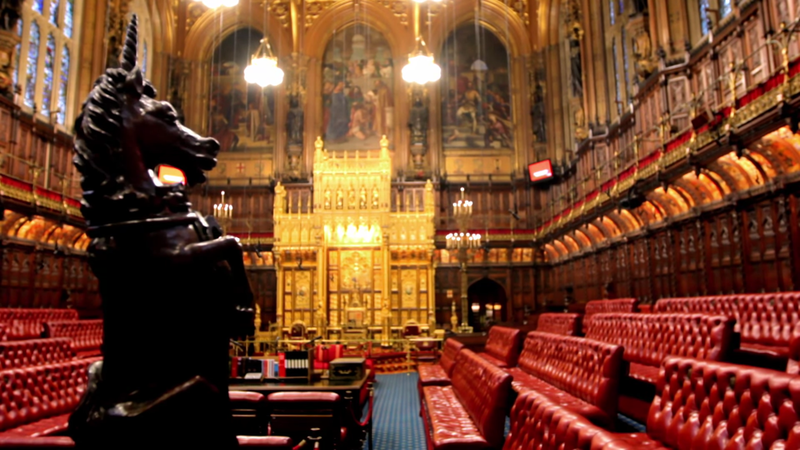 The House of Lords had 11 sessions at Committee Stage to consider the detail of the Bill, compared to 8 in the Commons. Likewise, at Report Stage, the Lords spent 6 sessions considering the Bill in further detail compared to just 2 in the House of Commons. Peers have previously told us that the reason for this is that they need to clear up the messy state of legislation once it has passed through the Commons, much of which MPs will have had little time to consider. Probably much to the chagrin of the whips, party managers have much less control over how Peers vote in the Commons. Few Peers are seeking further preferment. After all, there is no further you can really go other than being appointed as a Minister and these are usually more junior positions which many Peers might regard as a demotion, particularly if they have enjoyed a more senior status in the past. The Lords is full of some fairly big beasts; is anyone really going to try to tell Lords Heseltine or Kinnock what to do? It is not surprising then that Peers are more independent minded and more likely to vote against their own side, let alone the 212 Cross Bench and independent Peers who have no loyalty to the Government or Opposition. It is indeed ironic that many of those who attacked Peers over their changes to the EU Withdrawal Bill are the same as those who have in the past defended the Lords and resisted reform. It highlights the danger of blinkered dogmatism leading to knee jerk reactions when others seek to take a more objective view. Is Michael Gove The Only Minister Getting Anything Done In Government? Gove has certainly made an impact as Environment Secretary, arguably more than any other holder of this normally low profile office. Be it the banning of ivory sales, cracking down on plastic waste, the bottle deposit scheme, championing animal rights or the Environment Strategy; Gove has seemingly gone from Brexit exile on the backbenches to environment crusader in little under a year. He is even gaining plaudits from green groups who would never have imagined that they would be singing his praises. Is Portillo’s view based on on him being so active or is this impression because other cabinet ministers are failing to make any impact? It is not just at Defra that Gove has made an impact. As Education Secretary he oversaw wide-ranging reforms on the curriculum, the academies programme, examinations, vouchers and teacher recruitment; to name but a few. He certainly made enemies, not least among the teacher unions, but no-one could deny that he was not being bold in his ambition to raise standards. As Justice Secretary, he reversed many of the unpopular policies of his predecessor, Chris Grayling, including scrapping the courts fee and overturning rules that restricted the number of books a prisoner can have. He was embarking on an ambitious prison reform programme before he was moved following last year’s election. Gove not only displays initiative and governmental skill, but his pro-environment agenda has also served as a personal re-brand after a polarising Brexit campaign and an ill-fated attempt at the Conservative leadership. It also serves the aim of broadening Conservative appeal, especially through trying to win back younger voters. He is once again trying to prove that it is possible to vote blue and go green. No other cabinet ministers appear to be transforming their Department’s policies in the same way. One argument for this is that both they and Parliament are paralysed by Brexit. The sheer amount of governmental and administrative effort required to separate from the EU means that Ministers cannot get much else done. This is not stopping Gove despite Defra having responsibility for farming, fisheries and environmental standards, all of which are heavily controlled by EU regulations. It hasn’t all been clear sailing. The revelation that UK fisheries policy would still be subject to EU law during the Brexit transition period was widely criticised by the industry. Many have argued that Gove’s mixed record on voting for green policies shows that his recent turn towards environmentalism may be more self-serving than selfless. And Gove still has to steer the long-delayed Agriculture and Fisheries Bills required for Brexit through Parliament. However, the fact remains he is making his mark in government. Can the same be said of his Cabinet colleagues? The Transport Secretary, Chris Grayling has only really been in the news of late for criticism; not proactive policy making. He travelled to Qatar on the same day as the biggest rise in rail fares since 2013 and was recently accused by Lord Adonis of “doing nothing” as the Peer called for his resignation over bailing out private rail companies. In housing, the Government appears to have recognised the scale of the problem but not the solutions required. Outside of a DCLG rebrand, continual consultations and some more money for existing schemes, there has not been the kind of radical policymaking that many MPs have been calling for. There is definitely scope for the new Secretary of State, James Brokenshire, to make his mark. Jeremy Hunt’s long stint as Health Secretary has been recently defined by trying to get the NHS through winter but he now has his chance to make a real difference through the planned change in NHS financing, depending on how radical this will be. Greg Clark’s Industrial Strategy has been criticised for providing little new investment in the economy. Against the background of this all are sluggish forecasts for economic growth and relatively little loosening of Treasury coffers by Chancellor Philip Hammond. In a Government defined by trying to take action while negotiating and implementing Brexit, Gove has certainly shown his ability to stand out. 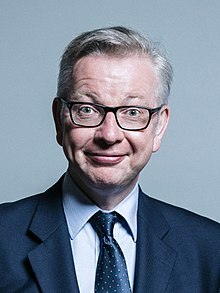 Labour MP Ben Bradshaw once described being a Minister as “literally sink or swim.” In this regard, Gove has proved himself to be a something of a shark. After all, he is an avid watcher of Blue Planet. The Prime Minister cannot be accused of using the recent Ministerial re-shuffle to seek to gag Brexiteers by bringing them into the government’s ‘payroll’ vote. Given that before the June election last year there was only a slight majority within the Conservative Parliamentary Party for Remain, a breakdown of the cohort of 44 PPSs following the reshuffle shows a much more significant gap between Remainers and Brexiteers. 59% of those appointed in January were for staying and 41% for leaving. This marks only a small increase in the proportion of Brexiteers who made up 35% of PPSs prior to the reshuffle, but not enough for May to be accused of seeking to bind potential hard line Brexit rebels by making them subject to collective government discipline. If you add to the ‘payroll’ group the 16 MPs appointed as trade envoys, the disparity is just as significant with 38% of these being Brexiteers and the majority at 63% being Remainers. Perhaps Theresa May sees the need to keep Remainers close given their concern at what they perceive as the PM’s seeking to appease the hard-Brexiteers with her statements about not being a part of any customs union, no role for the ECJ and no compromise on freedom of movement during the transition phase. Remainers might choose to argue that is a reflection of the calibre of the MPs within the two groups. 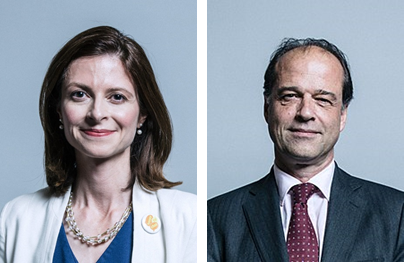 There is some redress for Brexiteers with 3 of those appointed straight from the backbenches to a Ministerial job being leavers and only one a stayer. Nearly one year on from Britain invoking Article 50, negotiations will shortly begin over the transition period and Britain’s future outside the bloc. While the broad outline and timetable for Brexit has been agreed, now the real deal will be ironed out. Brexit rhetoric will need to meet businesses reality. With so many of the discussions around Brexit having been dominated by such macro issues as the size of the divorce bill, the Irish border and the jurisdiction of the European Court of Justice, it has been hard for individual companies to see any role they could have in helping to determine future arrangements which could significantly impact their operations. As a result there has been relatively little engagement from business outside of calls for clarity and warnings of a potential cliff edge. Now is the critical moment for that to change. Britain will spend the next few months ironing out the transition deal; the period under which existing EU rules and regulations would apply before moving on to the nature of a future trading arrangement covering, it is hoped, both goods and services. This is now the time that we get down to detail, which opens the door for companies and trade associations to seek to shape the impact the future deal will have on them. The Government doesn’t just need to be made aware of what the implications will be for different sectors of the economy; it wants to be made aware. If the release of the infamous Brexit impact assessments taught us anything, it’s that there is a massive lack of awareness within Government of the impact of Brexit on each industrial sector. This should not be surprising. Although both DExEU and DIT have been increasing their staffing, there is still a very limited resource available within Government to understand all the implications. This throws the onus onto business to fill this gap. Companies and trade bodies can hardly complain when they feel that Ministers have not fully grasped what is required for them to continue to thrive post-Brexit if they have not taken every step to ensure that they have communicated this. Rather than wait for Brexit to happen to them, companies need to seize the initiative and communicate what they specifically require from the future arrangement with the EU. This value of business making representations to policy makers can already be seen in the evidence House of Commons Select Committees have been gathering. The fisheries industry warned about potential barriers to trade, but also how delays could affect supplies of fresh catches and the need to employ seasonal fishing labour. 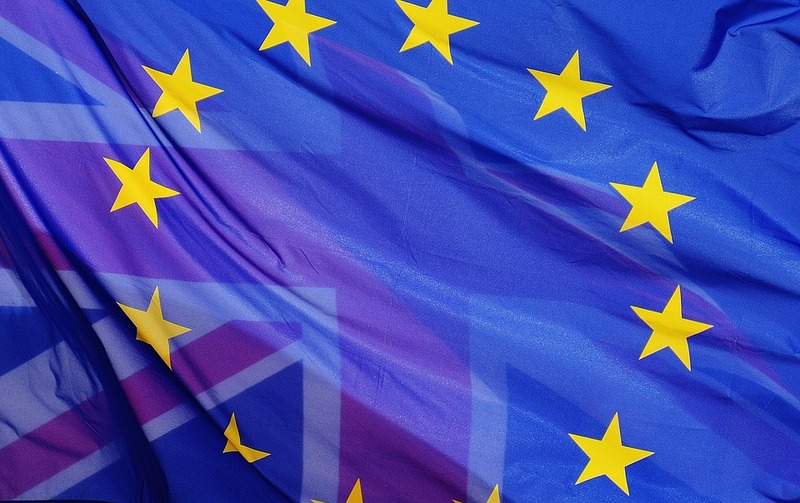 Representatives from the automotive industry told MPs that Brexit will affect issues ranging from vehicle authorisation to the costs of the potential delays of importing car components. The Chemical Business Association stated that the adoption of the main elements of the industry’s regulatory framework into UK law was the most pragmatic and cost-effective way forward. Companies across Britain communicating these concerns will allow Ministers, MPs and civil servants to make better informed decisions. Civil servants and politicians have told us that the Government has never been more open to wanting to hear the voice of individual companies. BEIS is sending officials around the country to gather intelligence. 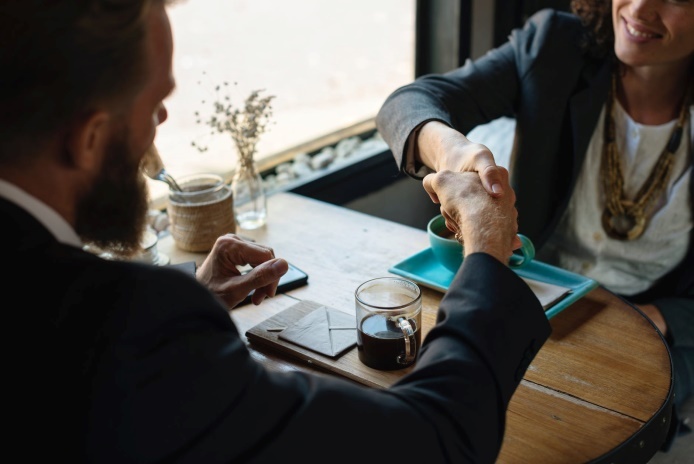 They are attending major business events and are openly inviting representatives of companies and trade bodies to come in to talk to them in Victoria Street. This is particularly true of companies with EU-based plants and businesses, with Government eager to know what Brexit will mean for their operations abroad. The EU Withdrawal Bill also represents a vital opportunity to influence the outcome of Brexit. While the Bill is intended to cut and paste existing EU rules and regulations into UK law, in the aftermath the detail of these will need to be reviewed to see if they are fit for purpose. Companies and trade associations should use this opportunity to make informed representations over which regulations should be kept, thrown out or amended for better effect. The earlier these messages are conveyed, the better the chance they will have to influence the business environment in which they operate. For those who choose not to, there is no guarantee that competitors and rivals will be quite so apathetic. So far the reality of Brexit has been difficult for businesses and government to grasp, but for companies their future outside the EU is dependent on the next phase. The devil will lie in the detail. How Representative Are the Young Tory MPs? 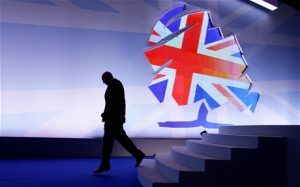 The Conservative Party has acknowledged that it struggled to engage with the under-45s at the last election and that not only students, but young, and even more middle aged, professionals, didn’t feel that the Party had an offer for them. 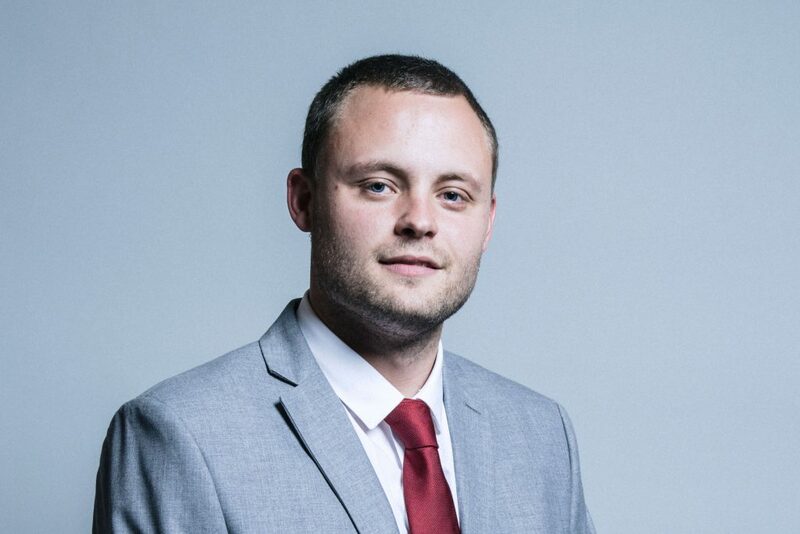 The new, 27 year old Mansfield MP, Ben Bradley, has set out to address this problem head on, gathering together a group of MPs under the age of 35 to create a more relatable face of the Tory Party in a bid to appeal to younger voters. As well as acting as a sounding board for policies and feeding in their own ideas, the group will also put forward spokespeople to engage with voters through channels other than the Today programme. Given the Government’s lack of a majority, Bradley has suggested that the group could hold sway on a number of key issues if it votes in a block. Speaking in a Times interview, he said: “I consider myself as relatively normal as you can be for an MP,” and described the new crop of MPs as coming from “normal backgrounds, not the posh, landed gentry as the stereotype would suggest”. We take a look into their backgrounds to find out how representative they really are. Of the 16 MPs who have signed up to Bradley’s group so far, only 3 (18%) are female, compared to 51% of the UK population, 21% of the whole Conservative parliamentary party and 32% of the House of Commons. On this first count, then, not so representative. Whilst 29% of all UK educated MPs are educated privately, for Conservative MPs this rises to 45% compared to just 7% of the UK population. Of the group of under 35’s for whom the information is available, just 4 out of the 16 went to private school. As only a quarter of the group, they are more ‘normal’ than the Party’s MPs as a whole and marginally more so than the House of Commons overall. Moving on to university education, again, only 4 (25%) of the group went to Oxbridge, with three of these the same MPs who were educated privately. This compares to 31% of all Conservative MPs and 24% of MPs overall. However, less than 1% of the UK population attends either university. More generally, all but 2 of the MPs in the ‘youth’ block attended university, 88%. This is in line with the 87% of MPs who are UK university graduates. In 2015/16, the rate of participation in higher education in the UK was 49%. Whilst there are not yet figures for the number of current MPs who either studied or practiced law before standing for election, analysis of the 2015 Parliament from BPP University Law School found that 119 of the 650 MPs fell into this group, making up almost one fifth of the House of Commons. Of Bradley’s group, 5 had a legal career prior to their election, representing almost a third. A criticism often levied at MPs is that they have no experience of the ‘real world’, having been career politicians working only ever as researchers or holding party positions. Of the MPs in this group, only 3 have worked exclusively in politics, although 7 of the 16 have been local councillors. Of the rest, apart from the law, their careers range from working as a store manager for Lidl to marketing, publishing, manufacturing, accountancy, working as a dairyman and being in the Royal Navy. Bradley himself has a ‘relatively normal’ background, having dropped out of the University of Bath and then later completing a degree at Nottingham Trent with stints as a gardener, in hospitality, retail and recruitment before standing to be an MP. Overall on relatability, Bradley’s group performs better than the Party as a whole when looking at private schooling and education and they have a more varied range of work experience than you might expect from MPs. Compared to the population as a whole though, they are still disproportionately white (only 2 are from BME backgrounds – Bim Afolami and Alan Mak), male, and university educated. On age at least, the Group are certainly much better placed to talk about the problems of housing, student debt and career uncertainty facing the ‘millennials’, given that they have recent first-hand experience to draw on. Indeed one of the group, 29 year old Will Wragg MP, drew press attention last year when he revealed he was forced to move back in with his parents whilst he saves for a deposit. Sending these MPs out to talk about such issues might resonate more with younger voters than hearing from older Conservative Party members, the average age of which ConHome recently found was 57.